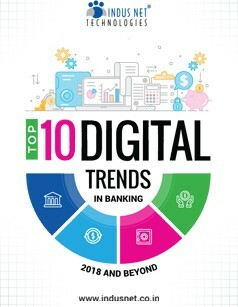 Contrast the experience of the bankers until just a few years ago to the kind of experience some banks manage to offer today: quick, intuitive, tech has replaced the tedium of standing in long lines, complicated online processes, and the threat of privacy & security of data & transaction. Today technology has made the banking experience, streamlined, fast, stress-free and user-friendly. Emerging technologies such as advanced analytics and BI, IoT, AI, and algorithms are already encouraging this industry to invest aggressively in digital transformation and focus on innovation. Read the full article to know the biggest game-changers in 2018.